Congratulations on getting your first lawn! For those of you who are new home-buyers or renters with a yard to take care of, it can seem daunting at first. How do you keep this grass healthy and looking lush and plush? Especially when you have to contend with seasonal weather, natural grass growth, kids, pets, and other factors? Read on to discover the best new lawn care tips we’ve rounded up for you. Yes, when you have a new lawn, the first and most important tip is to make sure you are mowing it on a regular basis. This helps discourage the grass from growing too high, presents a neat appearance, and keeps your grass much healthier. Keep the mower blades sharp for the perfect shear. You should be mowing about once a week, depending on the weather. To have it grow a little tall is better than too short. You can use either a rotary style motor or a reel style motor. Be sure to mow when the grass is dry. If the grass is too wet, you’ll want to rake up the clippings afterward, which will allow air down into the base of the grass. Your mower won’t be able to do a perfect job at creating trim edges along sidewalks, garden beds, and other obstacles. You’ll want to keep the edges cut with either a string trimmer (commonly known as a ‘weed whacker’) or a motor-powered edger with actual metal blades. This prevents too much overgrowth from interfering with sidewalks and contributes towards the care of your lawn. Your lawn is made up of grass, which are plants that need water just like your prize flowers. 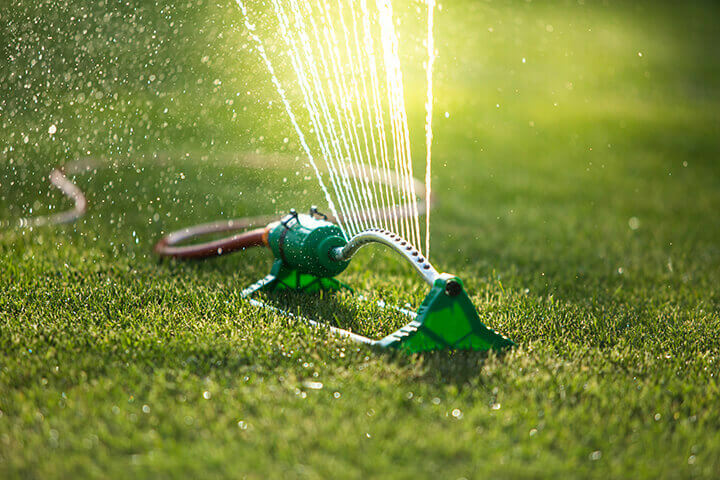 To truly ensure a healthy appearance, water your grass once a week and give it a nice deep watering to soak the roots and help them push down even deeper into the soil. What kind of soil do you have? Is it drier and sandier or thicker, more like clay? The drier the earth, the deeper you want to water it. If the watering is too shallow, that creates what’s known as thatch. Thatch is the dry brown dead grass that sits on the surface of your lawn. Humans take multivitamins for more nutrients, and fertilizers perform the same function for your lawn. The best times to fertilize are in the spring and the fall. When shopping for fertilizer, look for ones that include nutrients beyond the standard N-P-K variety. Fertilizers should have plenty of nutrients that include essential minerals like sulfur, iron, copper, calcium, and magnesium. If you don’t want to purchase fertilizer, spreading home-made compost will help to give your lawn nutrients and important organic matter. Yes, invasive species like dandelions and crabgrass can wreak havoc on your lawn and are such a nuisance in themselves. While it may be tempting to reach for chemicals, home and garden experts advise that you choose a natural herbicide. It helps prevent accidental poisoning and harming the environment. 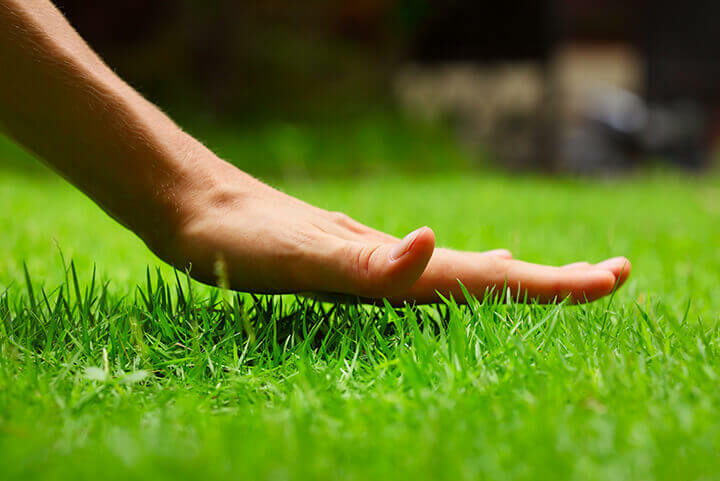 For many lawn owners, you’ll find that the healthier the grass, the fewer weeds you’ll have. So, add more fertilizer, mow on a regular schedule, and keep your grass watered well. Air molecules, which contain carbon dioxide, need to penetrate the base of grass blades and get into the soil as well. That makes your lawn healthier and lusher, too. You’ll want to aerate whenever you notice the grass getting too compact or wet. Using a rake with metal tines can aerate, or you can purchase a special aerating tool. For dog lovers, you may notice an unfortunate side effect from taking Fido out every morning – a brown spot appears on the lawn. Dog urine contains nitrogen, which is highly concentrated and can kill grass. So, how can you have both a pet and a lush lawn? In the spot where your dog goes, don’t fertilize as much in that area. You’re trying to reduce the amount of nitrogen. Also, you can spray the affected lawn area with water to dilute the nitrogen. These lawn care maintenance tips will have your grass looking beautiful, healthy, and will create a wonderful backyard for many years to come!